Yokogawa Electric Corporation (TOKYO: 6841) announces that it has added two new solutions to the OpreX™ Analyzers family with the development of the FLXA402 4-wire liquid analyzer and the SA11 SENCOM™ smart adapter. The global release of the FLXA402 is set for October 17, and the SA11 will be released globally toward the end of this month. The FLXA402 can flexibly perform a variety of measurements and the SA11 comes with data conversion, transmission, calibration, and diagnosis functions. These two new liquid analysis products will be offered as part of the SENCOM 4.0 series. It is expected that they will help to improve the efficiency of calibration and other maintenance tasks, and facilitate the flexible design and operation of liquid analysis data monitoring systems. Liquid analyzers consist of a sensor and a transmitter with a data conversion function, and are used to monitor items such as the quality of raw materials and finished products, and water quality in the wastewater treatment process. They are utilized in a wide range of industries including power, water supply, municipal and industrial wastewater treatment, semiconductors, foods, pharmaceuticals, iron & steel, pulp & paper, oil, petrochemicals, and chemicals. The two basic types of transmitters are 4-wire devices with separate cables for power supply and output and 2-wire devices that use the same cable for power supply and output, and Yokogawa supplies both. 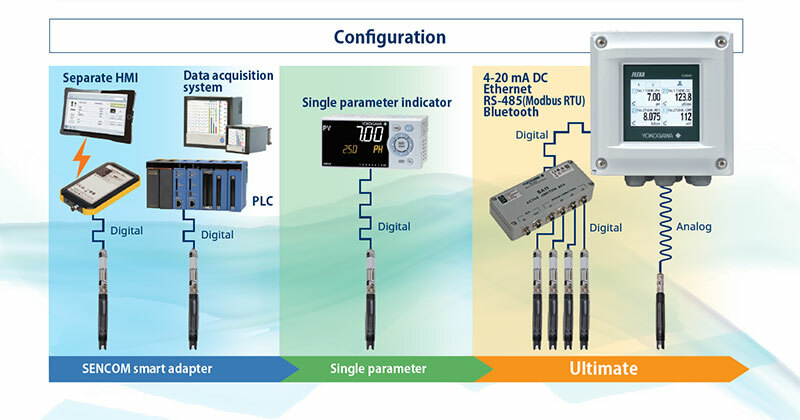 Yokogawa's 4-wire transmitters are typically used for specific applications such as pH measurement, and its FLXA21 and FLXA202 2-wire transmitters can flexibly accommodate multiple sensors of the four basic types: pH/ORP, conductivity, inductive conductivity, and dissolved oxygen. Although the FLXA402 is a 4-wire system, it can connect to multiple sensors, perform diagnostics, and communicate digitally with host systems. In liquid analyzer applications, there is a need for data monitoring systems consisting of integrated sensors and transmitters that are capable of transmitting data directly to a control system, recorder, indicator, or a handheld device such as a tablet. Although such integrated devices are able to store data that is needed for calibration and other maintenance tasks, the entire unit needs to be replaced when sensor damage or fouling occurs due to exposure to liquids. 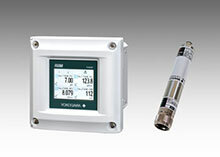 To reduce maintenance costs, Yokogawa has developed the SA11 smart adapter, which also functions as a transmitter. As only the sensor needs to be replaced, this significantly reduces maintenance costs and eliminates waste. The new products are the FLXA402 4-wire liquid analyzer, SA11 SENCOM smart adapter, and pH and ORP sensors that are dedicated for use with the SA11. There is also a new peripheral device: the BA11 junction box. The FLXA402 can work with existing analog sensors (pH/ORP, conductivity, inductive conductivity, and dissolved oxygen), optical dissolved oxygen sensors, and the SA11 SENCOM smart adapter and its dedicated sensors. By using the FLXA402 in combination with the SA11 adapter and the BA11 junction box, it is possible to connect up to five sensors, reducing both system cost and footprint. For the transfer of diagnostic data and other device information to a host system, the FLXA402 supports the HART7 and Modbus protocols. This solution also facilitates connection to the cloud and the construction of an Industrial IoT (IIoT) environment, for improved field maintenance. The SA11 adapter has functions for data conversion, transmission, calibration, and diagnosis, and is intended for use with dedicated sensors. The SA11 supports the Modbus communications protocol. 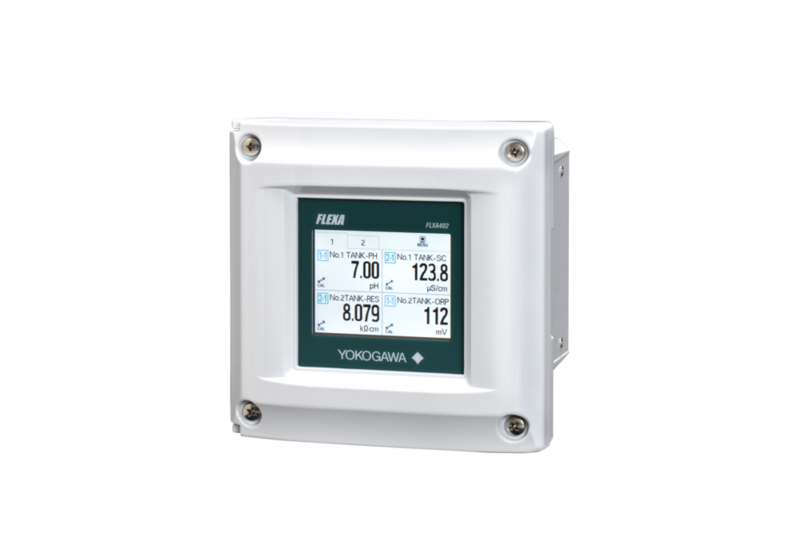 In addition to the FLXA402, the SA11 can connect directly to the UM33A-S digital indicator *1; the FieldMate versatile device management software*2; and control systems, recorders, and indicators that support the Modbus communication protocol. Using the SA11 adapter, it is easy to set up a system that can perform data monitoring, calibration, setting, and adjustment. As the SA11 is able to store sensor calibration data and other types of digital information, it can be transferred to a laboratory or some other location that is safer and has better working conditions. This reduces the amount of maintenance work that needs to be performed in the field and helps to ensure that the device stays properly calibrated, thus reducing downtime. *1 Dedicated for use with the FLXA402, this is planned to be released toward the end of this month. *2 A new SA11 compatible version of this software will be released toward the end of this month. Controlling the quality of raw materials and products, controlling the water quality in the waste water treatment process, etc. OpreX is the comprehensive brand for Yokogawa's industrial automation (IA) and control business. The OpreX name stands for excellence in the technologies and solutions that Yokogawa cultivates through the co-creation of value with its customers, and encompasses the entire range of Yokogawa's IA products, services, and solutions. This brand comprises the following five categories: OpreX Transformation, OpreX Control, OpreX Measurement, OpreX Execution, and OpreX Lifecycle. The FLXA402 and SA11 are OpreX Analyzers family solutions in the OpreX Measurement category of field instruments and systems that enable highly precise measurement, data acquisition, and analysis.